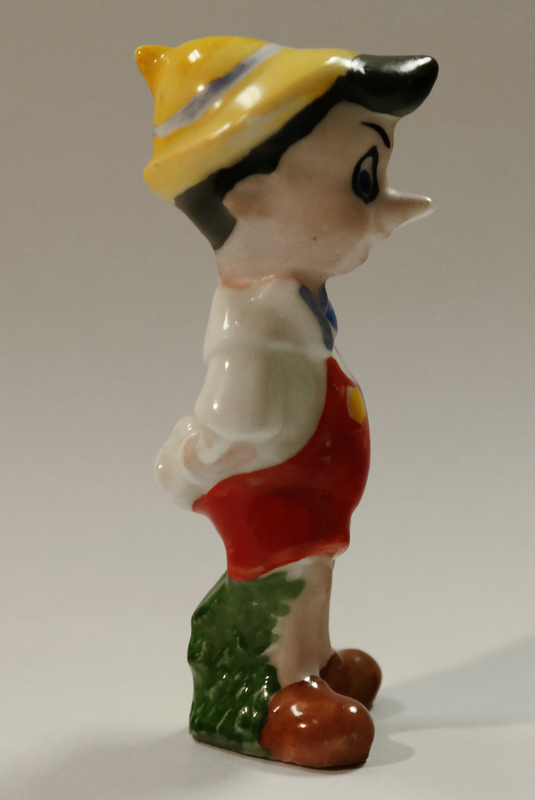 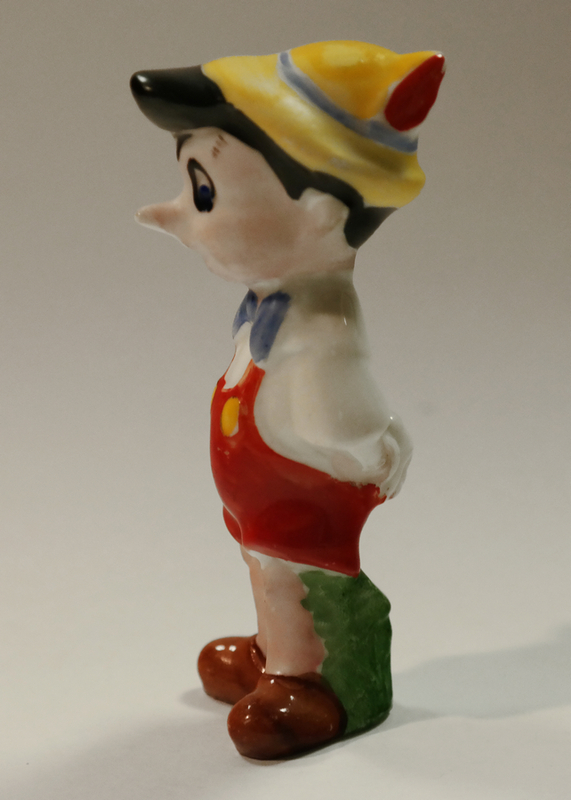 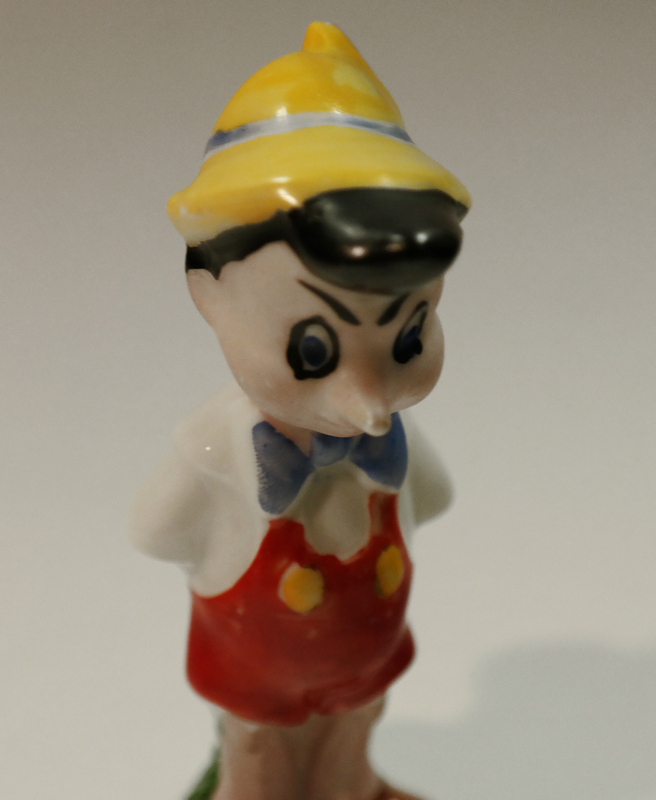 3.25" x 1.25" x 1.5"
This is a 1940 Pinocchio figurine featuring Pinocchio himself. 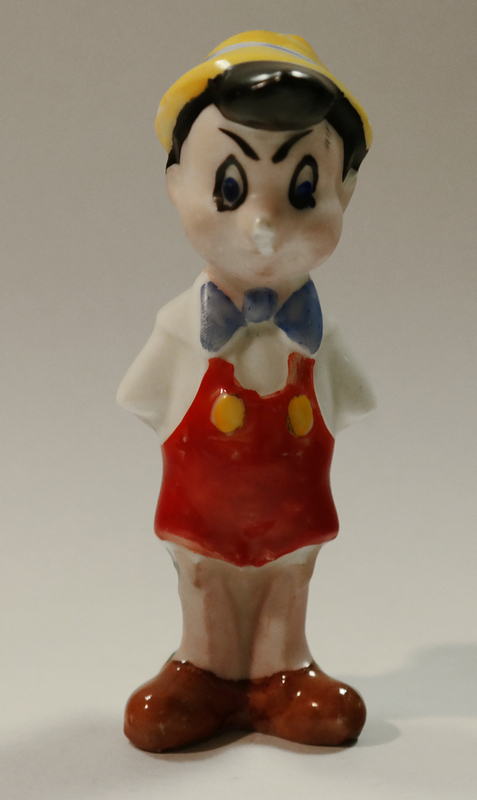 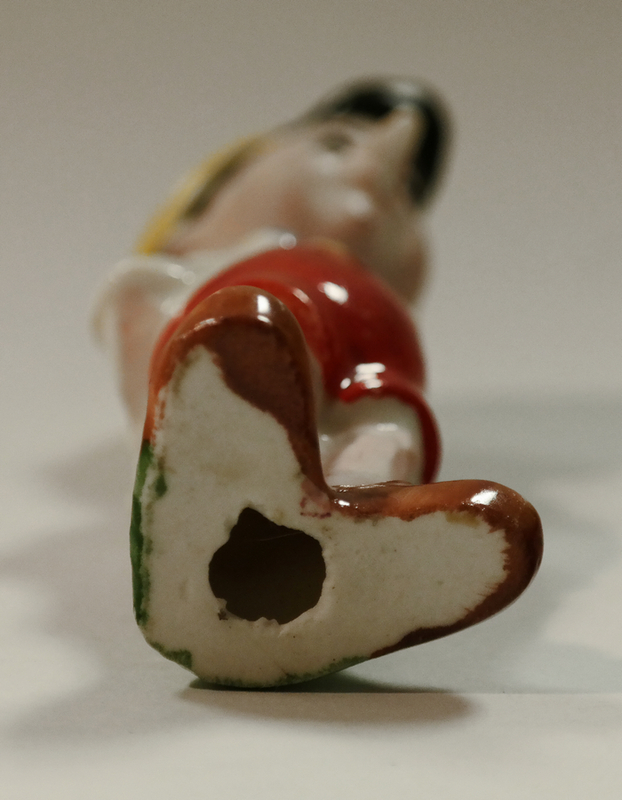 The ceramic figure was made by National Porcelain in the 1940s and is in very good condition with minimal paint loss as seen in the images. 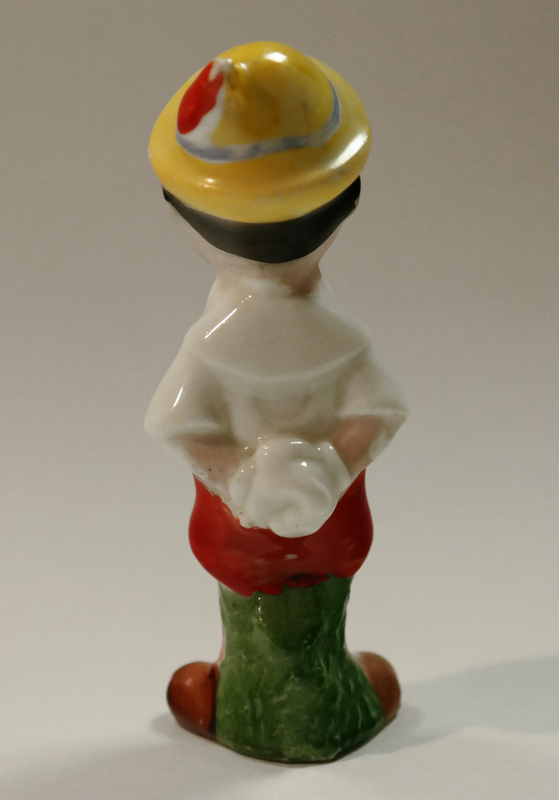 This piece measures 3.25" x 1.25" x 1.5".